Scaffolding is such a large part of our urban Infrastructure – it’s so woven into the landscape we often don’t notice it. When was the last time you have stopped to take a good look at it? In January when I visited a friend in Ethiopia I was really struck by the scaffolding methods I saw, and other construction practices. In America, where people are so terrified of lawsuits from injury on the job, site safety is paramount. In Ethiopia this appears to be less of a concern. 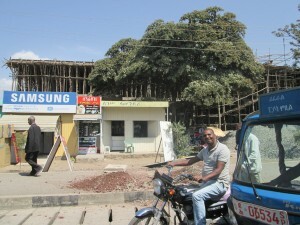 Although the construction practices in Ethiopia may seem to have less of an environmental impact because of the lack of site safety features, fewer heavy construction equipment, and the scaffolding is made from Eucalyptus, a renewable resource, I learned that the environmental impact of this plant is a serious problem. 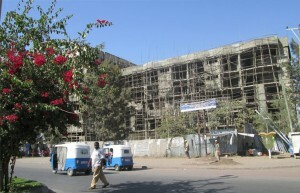 The Eucalyptus scaffolding that surrounds buildings and is sometimes covered with a patchwork of tarps is characteristic of construction sites in Addis Ababa, and other small cities in Ethiopia. The eucalyptus logs are also lashed together to form ramps people can walk up to get to the top of the building (on top of which there are no safety railings). Eucalyptus grows prolifically in Ethiopia because it is very adaptable, fast growing, and when cut down it grows up again from the roots. It can be harvested at least every ten years, and grows very straight, so is ideal for construction. It can be found in roadside lumberyards throughout the country. The problem with Eucalyptus however is that it is a very thirsty plant, which can dry up rivers and wells, absorbing water that would otherwise allow for grass cover and other native flora. This not only decreases biodiversity it can increase soil erosion, even though initially people had thought it was ideal in stabilizing eroding soil in watershed rehabilitation projects because it grows so quickly. Eucalyptus was introduced in the late 1800’s/early 1900’s under Emperor Menelik. Addis Ababa was being developed as the capital of Ethiopia, and this necessitated a lot of timber. As the city became deforested due to the construction practices and need for firewood, Menelik endorsed the introduction of eucalyptus to Ethiopia from Australia, and encouraged its planting around Addis Ababa. Many plantations sprung up around the city and the tree spread to other areas throughout the country. 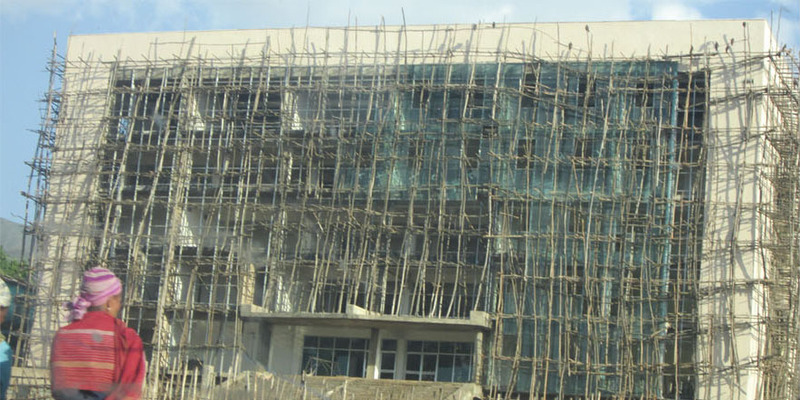 Addis Ababa seems to be experiencing another wave of construction activity, as the city seeks to “modernize” and countries like China are pouring capital into developing the country to gain more access to Ethiopia’s resources. Districts have been designated as focus areas to wipe out all the one story buildings that some would call a “slum” and build multi-story buildings in their places. Residents are being told that if their home or storefront is less than 2 stories then they need to build another floor, tear it down and build a 2 story building, or they would be displaced. 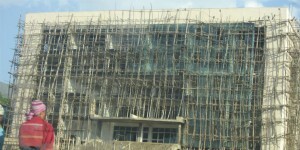 The landscape of Addis Ababa is changing quickly. 1. There is need for better education of farmers, and other stakeholders, in the selection of the best phenotypes for seed collection. 2. Fewer trees per unit area should be planted, and existing plantations should be thinned to reduce the water consumption needed by eucalyptus in areas where water is scarce or demanded by other crops. 3. Arising from the recommendation above, there is need for research on the optimum spacing of eucalypt plantations for different purposes, to ensure soil protection and the development of understorey or ground vegetation without compromising the productivity of the trees. 5. There should be wider spacing between trees to allow ground cover or agricultural crops to develop. FAO (2011). Eucalyptus in East Africa, Socio-economic and environmental issues, by Gessesse Dessie, Teklu Erkossa. Planted Forests and Trees Working Paper 46/E, Forest Management Team, Forest Management Division. FAO, Rome(unpublished).